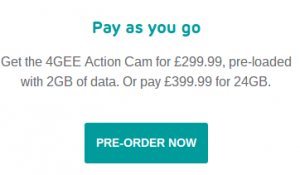 EE having launched its own portable chargers, free, to EE customers, has now launched the Action Cam, but it’s not free this time. 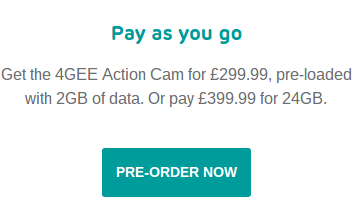 With the EE Action Cam, you can’t purchase it outright. 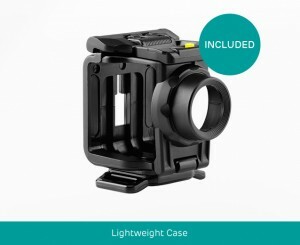 You’ll need to bound yourself to the EE network, subscribing to the Action Cam itself. 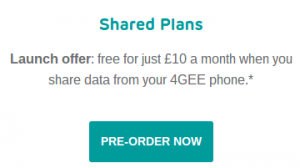 There are three plans, Shared plan, PAYG or Monthly plan but you’ll have to shell out £299. Which is way over the top given the accessories you get. 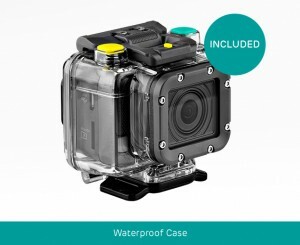 The 4GEE Action Cam bundle comes complete with a waterproof case, lightweight case and accessory adaptor. 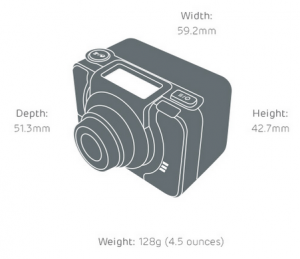 The Action cam can stream over 4G LTE, without being tethered to a smartphone. The EE Action Cam records at 1080p (30FPS) and 720p (30/60FPS), and can capture still shots with the 13MP shooter. 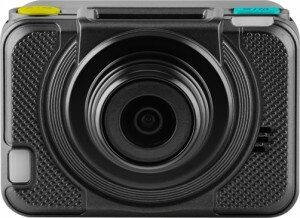 While the camera is limited to 720p for streaming, Video recording can be by either 1080p HD video recording (30 fps) or 720p HD video recording (30 or 60 fps.) Capture full HD, you’ll need to use microSD slot, which can hold a 64GB card. 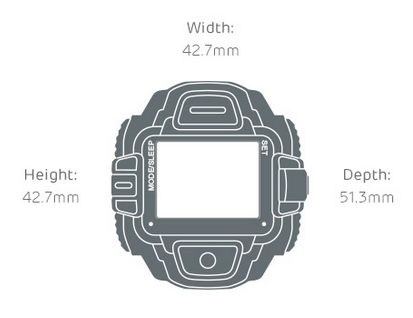 Battery wise the Action Cam comes with a 2,260mAh which will provide you with up to three hours of streaming. There are a range of accessories available for different attachments like, Helmet mount, Chest strap and Bike mount. 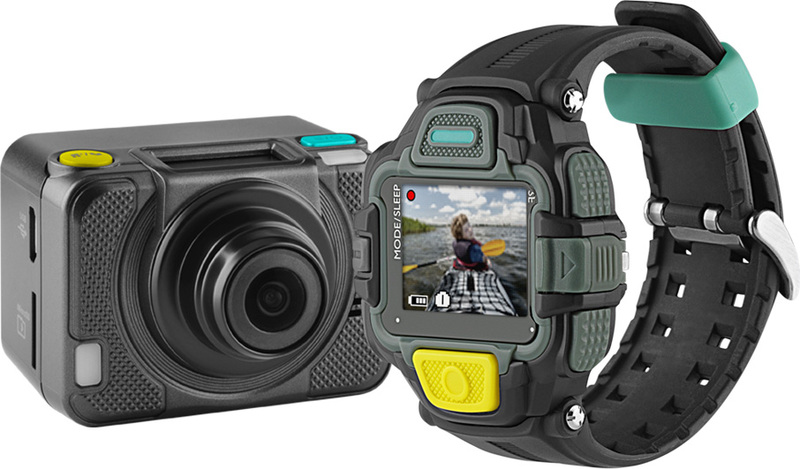 Launch date for the EE Action Cam is June 16. Check the EE website for more details, link below.